Special teachers can and do make a difference every day in the lives of children and families. Special teachers can and do make a difference every day in the lives of children and families. 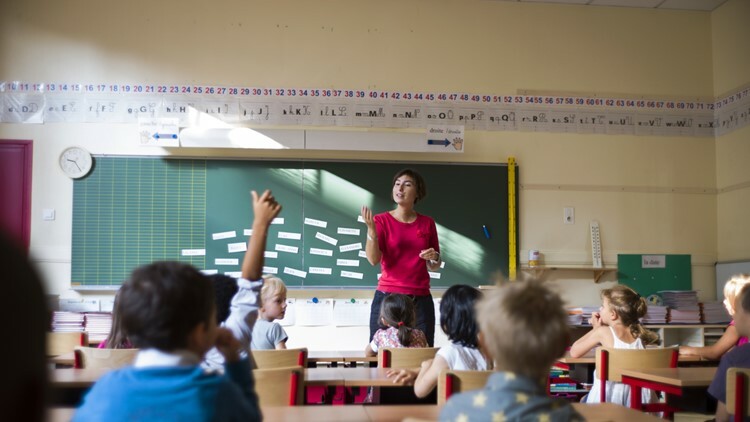 To salute those who devote themselves to the teaching profession, ABC10, Schools Financial Credit Union and Sacramento State’s College of Education have joined forces in creating a monthly profile of an exemplary educator. Every month, ABC10 asks viewers to nominate a teacher in their community who is making a difference in students' lives. These special teachers are showcased every second Tuesday of the month on ABC10 News at 6a.m. and 5 p.m.
Each monthly winner is then eligible for the title of Esquire IMAX ABC10’s Teacher of the Year award, held every May. Teacher of the Month/Teacher of the Year allows ABC10 to hear directly from viewers about the inspiring lessons children are learning in and outside of the classroom from educators who are passionate about their work. ABC10 is honored to be invited into our local classrooms to see the miracle of learning, shape our future and is grateful for the generous donation of our sponsor Schools Financial Credit Union who awards every monthly winner with a $1,000 check and each Teacher of the Year Winner with an additional $5,000 dollar check. We also thank Sizzler for their generous support of the ABC10 Teacher of the Month award program.